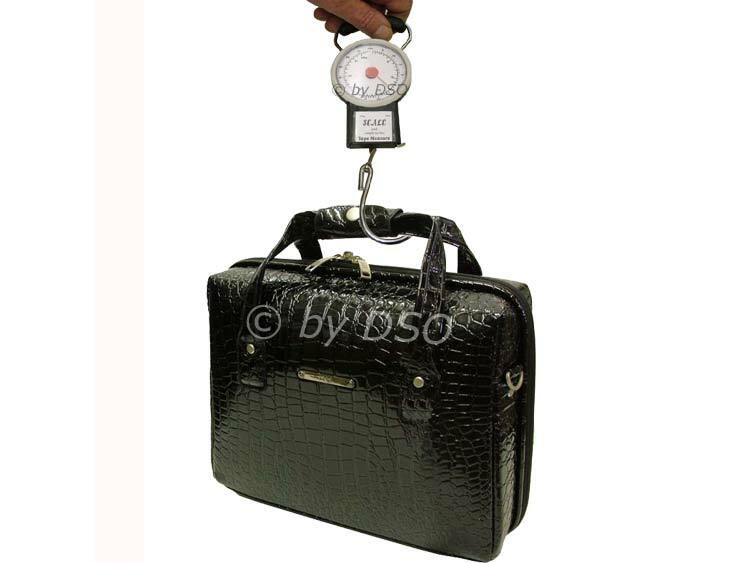 Never let customs charge you for excess or oversized luggage again with this brand new luggage scale with tape measure. It's compact, portable and light weight so you'll be able to take it with you on those trips overseas. The scale accurately measures up to 32kg (75lb) and the tape measure is 1m in length. It has a sturdy hook and attachment and a soft foam handle for comfort of use. Simply slip the handle of your luggage onto the hook, lift the luggage up and read your measurement. It's very accurate for luggage items over 4kg.